My plurk account was born on March 29, 2009. Three weeks from now, my Plurk baby will turn one year old. I have enjoyed using it because I get to be updated of many things. And it's my first experience of microblogging. 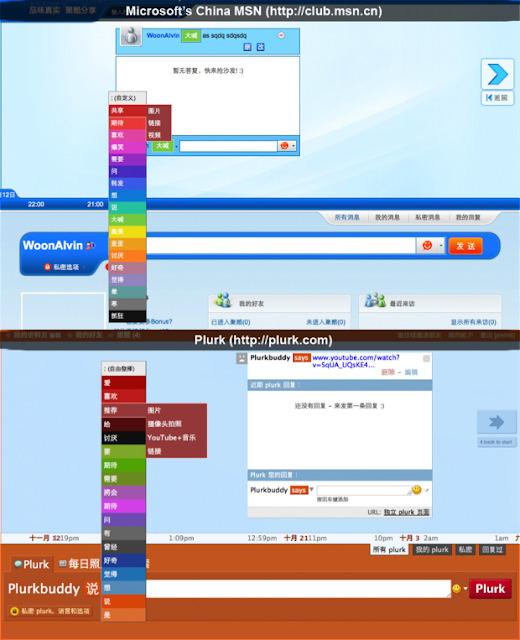 It's surprising to know that Microsoft, being one of the biggest IT companies in the world, has copied the codes and design interface of Plurk.